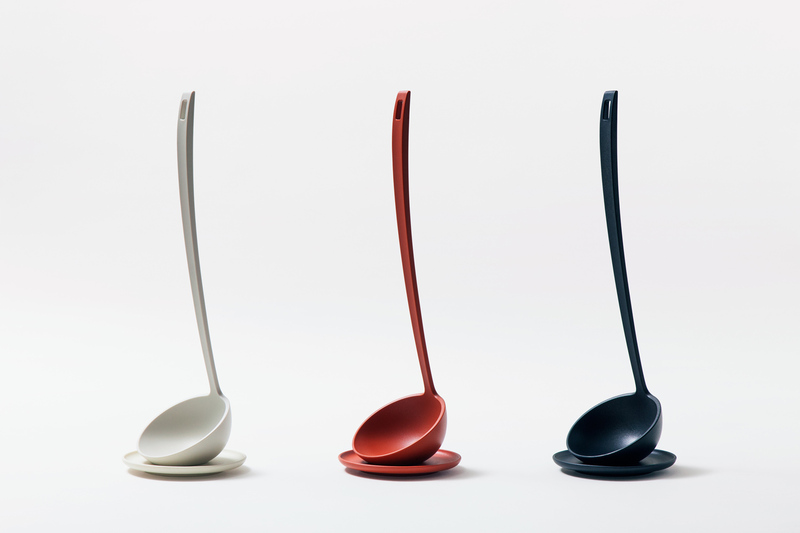 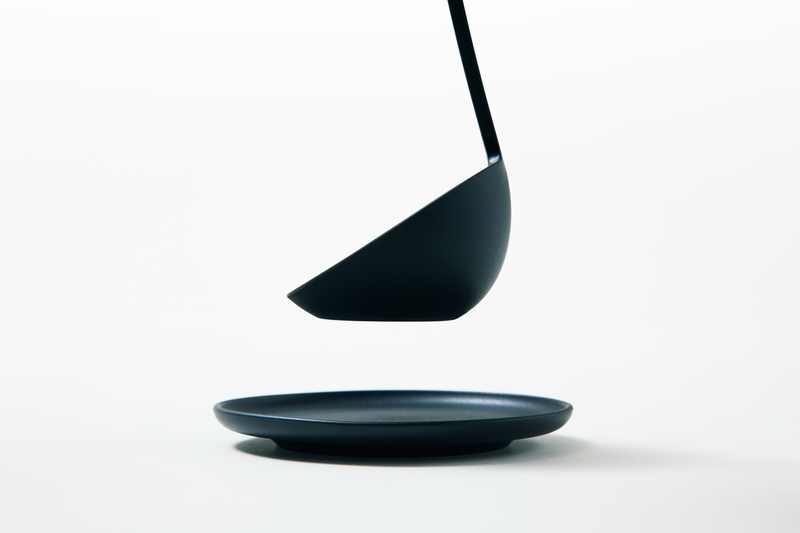 A ladle that can stand up on its own. 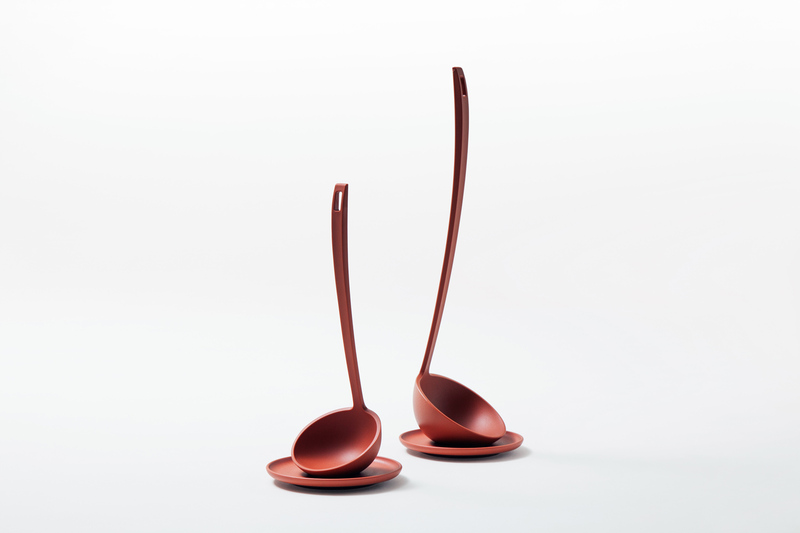 It can be placed upright on any plate due to the balanced shape of the material, allowing better use of limited kitchen space. 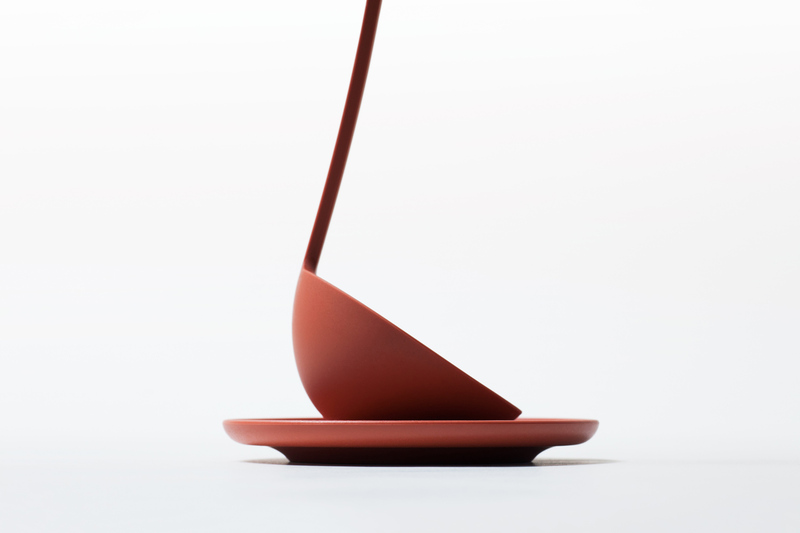 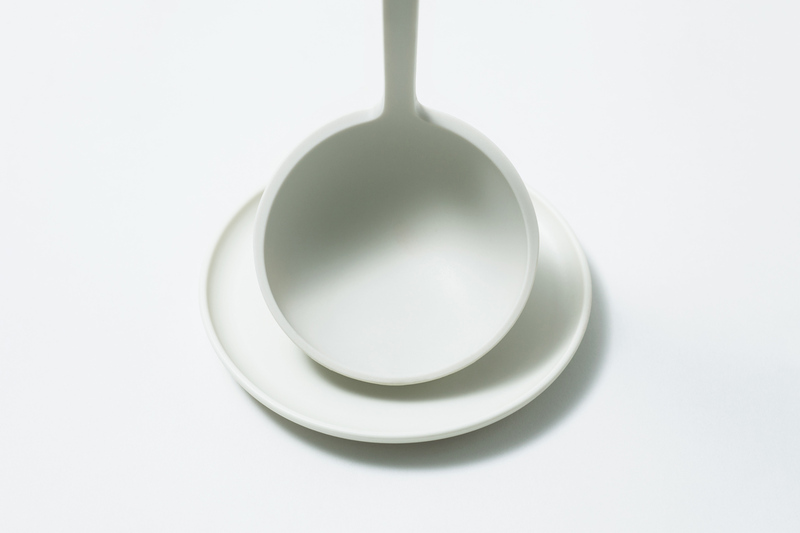 The base of the ladle is formed as if it has been sliced off, but the inner surface is made of curves for ease of use.